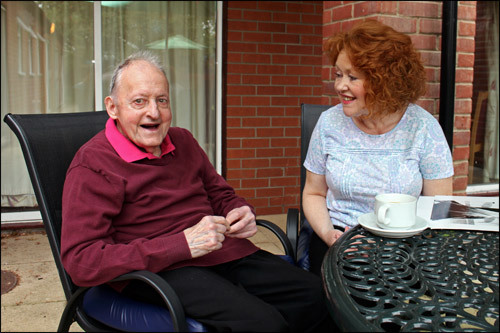 The manager and staff at Ashdene Care Home are committed to ensuring individual, spiritual and social needs are met during each resident's stay at Ashdene. 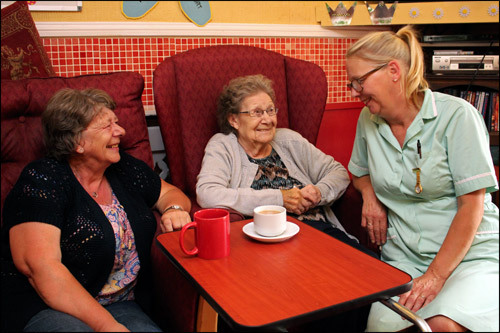 Care staff view activities as an important part of their role and are very aware of the rewards and fun that can be gained through activity. 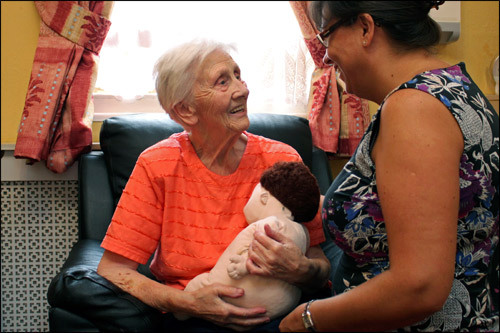 Residents are encoured to remain active and mobile as well as relearning skills or learning new skills. Visits from schools, local choirs, bell ringers etc. The dedicated Activities Co-ordinator organises weekly social and leisure activities, which include crafts, painting, board games, hand care, chair exercises (using aids such as pom-poms, scarves, batons and balls), parachute games, elastic rope, singing and dancing, percussion group, swimming, and walks. 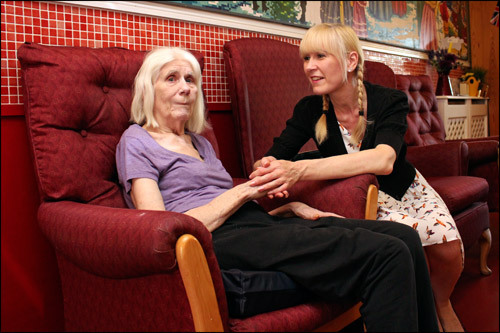 An entertainer visits the home twice monthly. There is also the opportunity to utilise a professional hairdresser who visits twice a week, or a manicurist and a chiropodist who visit on a weekly basis. We try to accommodate each resident's individual interests and hobbies, and invite residents to let us know about any particular interests or hobbies they may have. Whenever possible, residents are helped and encouraged to attend religious services of their choice. A church service is held at least three times a month in the Home. Where a resident is unable to attend or requests mass or communion, we arrange for a local member of the relevant church to visit the Home. 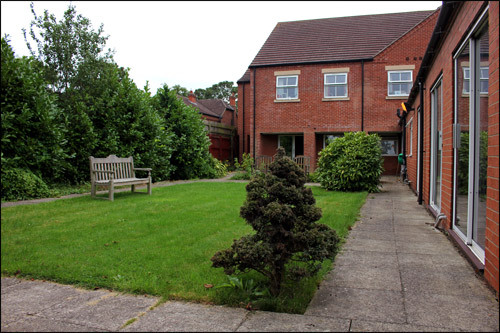 The residents at Ashdene Care Home also receive support from district nurses, GPs, the SALT team, speech therapists, memory nurses, and social workers to assist with their health care needs. All meals are cooked on the premises and we offer a choice of hot food for each meal, as well as an alternative of sandwiches. Visitors can also be catered for on request. Menus will be varied and favourite dishes and special diets are catered for. Residents are encouraged to eat in the dining room but may eat in their own room if they express a wish to do so. Tea, coffee and other hot drinks and snacks are served and available 24 hours a day. 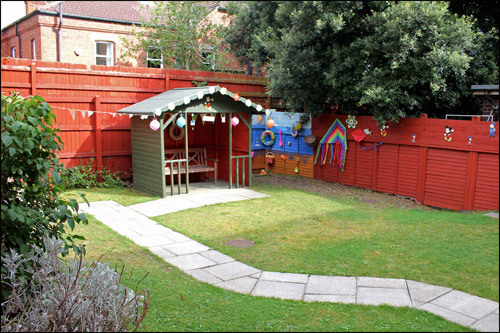 The home has a designated smoking area for residents. Residents must be supervised at all times when smoking. Staff and relatives must not smoke within the home. 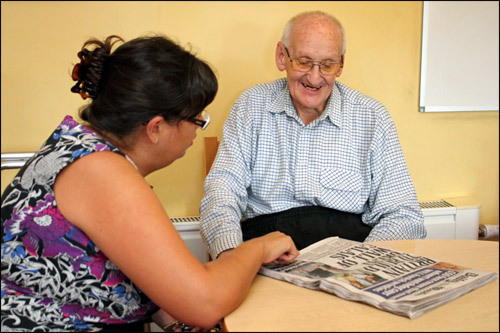 Residents who wish to consume alcohol may do so but we do ask that relatives liaise with staff to ensure this will not have a detrimental effect if the resident is taking prescribed medication. Whilst we acknowledge the fact that many people have pets for company during their lifetime and that they may wish to bring an animal with them when they move, the management has a responsibility to all the residents with regards to health and safety. Residents within the home may also suffer allergic reactions to certain pets, and consideration must be made regarding the rights and choices of all residents whether they wish to have a pet within the home. This is not to say we do not permit pets. The manager will however treat each case dependent on need and the amount of pets already in the home. We offer a 24-hour visiting policy whereby relatives, friends and representatives are welcome to visit their respective residents whenever they wish. There is a telephone available for any resident to use in order to contact relatives, friends or representatives. Relatives and friends are encouraged to visit regularly and maintain contact by letter or telephone when visiting is not possible. In these cases, staff will offer to assist the resident to respond where help may be needed. 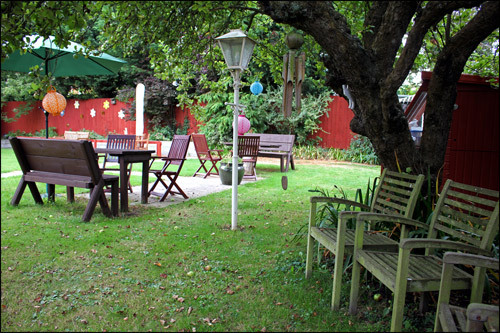 There are regular social gatherings where friends and relatives visit the home to have tea and cake with the residents. 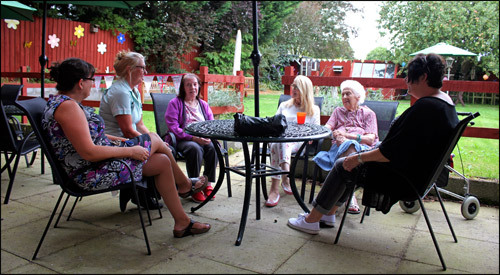 Through the Family Teas at Ashdene, money is raised for the residents' fund. Trips that have been organised for the residents have included: boat trips, visits to the seaside, shopping trips, singing events in town, and the poppy prom at St George's Academy.